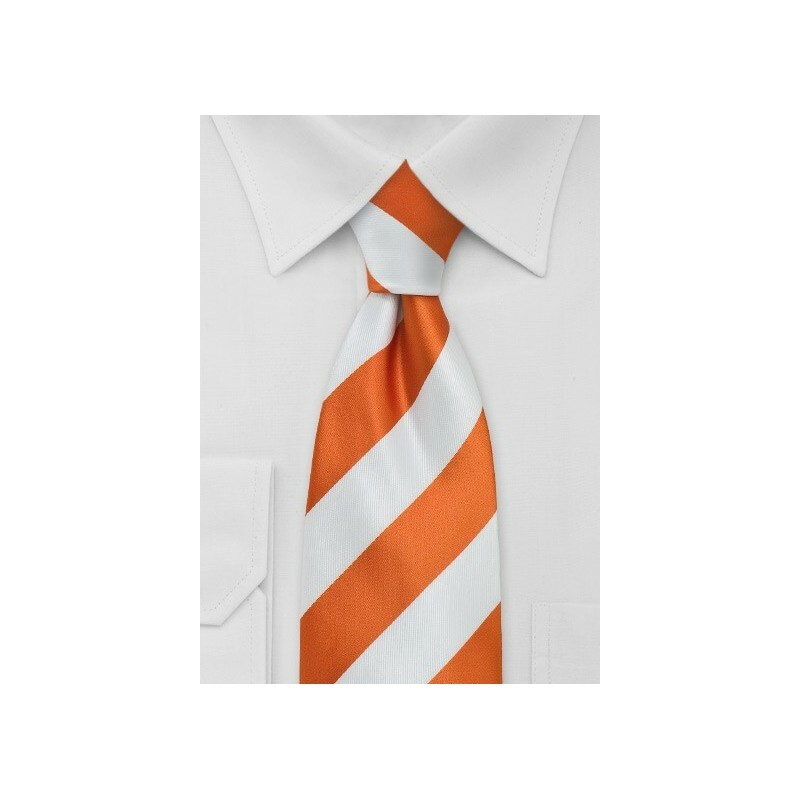 An attention grabbing necktie that is perfect for the tie aficionado seeking a bit more color and some preppy style. The wide stripes and bright white and orange color combination is perfect for the summer in the Hamptons. 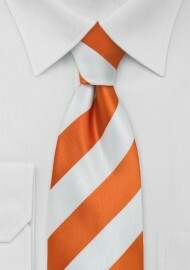 This striped tie in orange & white is made in long length. It measures 62 inches and is perfect for men above 6 foot 3 inches. Even larger tie knots, like the popular Windsor, will be no problem with this longer necktie. Made by designer Puccini in XL size.